The MSI X299 Creation motherboard is a costly option but offers some great features as well. This is where we snip key points from the product materials to show some of the companies key talking points. Intel Network is kind of a standard at this point with the days of Realtek LAN fading away from memory (thank whichever deity you choose). Intel makes a solid LAN chip and it does the job rather well. No points can be taken away for this solid addition. WiFi AC & BT 5.0? 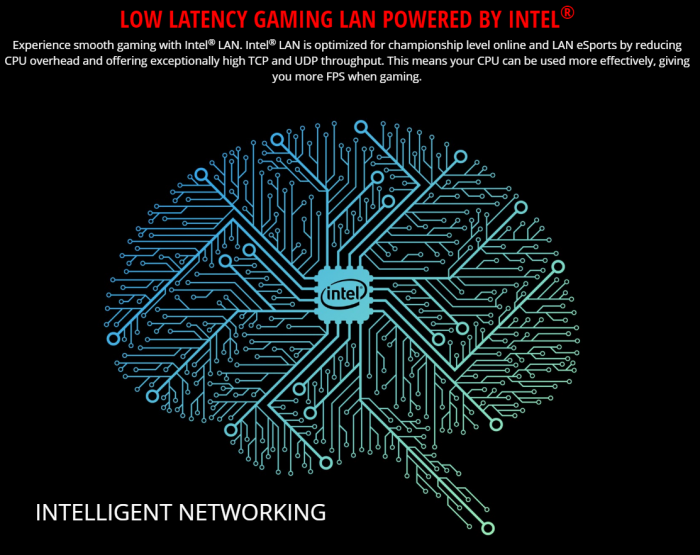 I am very happy to see a solid option here with the Intel LAN and solid speed capabilities. This, of course, means even when wired LAN is not an option you can actually have potentially faster than Gigabit speeds from your wireless network as long as your Wireless AP/Router is up for the task. Thunderbolt has been a stalwart option for those who regularly need a high-speed external storage option. And with video, photo and audio content creation on the rise having an external medium that can support over 3GB/s theoretical transfer speeds is a great option. Add to this the ability to pass DisplayPort video and even daisy chain devices and it is very clear as to why it is such a popular option. With that being said MSI chose to omit rear panel connectors and onboard chipsets in favor of an AIC option to enable Thunderbolt 3 performance if needed. 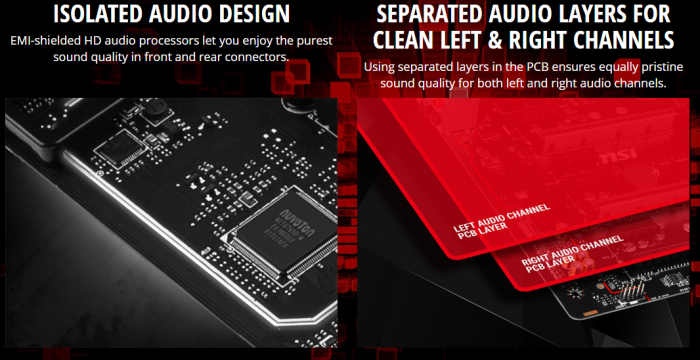 MSI has definitely made sure that the power circuits are up to snuff to handle the HCC CPU’s. The X299 Creation sports a 13+1 phase power design which we will look at during the teardown but I can say one thing with certainty. MSI made sure that they would not see the same issue with HCC CPUs this time around as they literally packed in more power components capable of good efficiency and high amperage to ensure you can keep even the most power-hungry chip well fed without the need to run the VRM at redline. This is a new one and something I actually had to confirm with MSI. 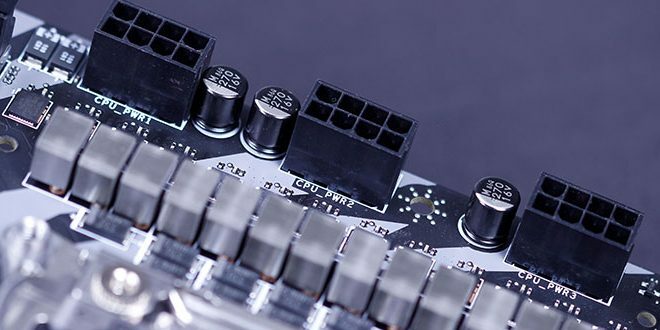 The X299 Creation actually has triple 8 Pin EPS connectors to spread the load and lower thermals to the cabling and power connectors for extreme loaded scenarios. My first response as a true enthusiast was the wrong one of “well, there is no PSU’s with 3x 8 pin EPS” and I am right by default. Companies like Corsair have PCI or EPS connections for the PSU side and that means you can add more EPS 8 pins to the mix however most do not come with more than two out of the box. This one is probably one of my favorites and I say this because of more times than I care to admit I have seen scenarios in which users install the board over a preinstalled standoff or even install a standoff in error. This leads to a short and at best an annoying troubleshooting session with potential for damaged hardware a definite possibility. The XL clips on the PCIe slots are nice as I have big hands and sometimes wedging into the tight area to release a GPU can be a real pain. Having a larger plastic lip I can depress to pop a card out i a huge help for someone like me who services systems and swaps parts regularly. EZ Debug LED, I love the name but hate it at the same time. Do you know what an EZ Debug LED is? A two digit Post display, something which this board just like the Gigabyte board we looked at recently is lacking as well. I know a lot about BOM costs and the cost of the 2 digit hex display for postcodes is not that expensive. Probably the most maddening thing is when a board does not have a post display since while the quartet of LEDs can help you know which position you are in the post, you have no idea if its a 55 Memory code because the memory won’t train or maybe a different issue with a memory DIMM not even being detected or failing. The isolated PCB layers for each audio channel has been going on since I wanna say the Z87 days maybe even longer and I’m glad it’s still happening as it truly allows a better overall audio solution by isolating the audio package from other signals which will help reduce electrical interference and potential crosstalk. Antipop mechanisms are awesome, once again something I love as I remember not too long ago when you would plug in speakers or a headset and the resulting pop was at best jarring and at worst potentially damaging to your audio equipment. Here I do like that they support a wide range of Impedance to allow much higher end audiophile level headphones. Although I do believe any true audiophile will opt for a dedicated DAC/Audio solution for optimal auditory presentation. I do find the associated graphic quite entertaining as its a dude obviously immersed in his audio with what looks like a LED backlit headset similar to Steelseries but definitely not an audiophile headset I have ever used. Also, I find the notation below the 600ohm mention humorous as it states “up to 600Ω impedance by delivering studio-grade sound quality” I do believe they meant to say “Supports up to 600Ω impedance to ensure you can experience studio-grade sound quality” Impedance support is not achieved by your quality of audio but by your components capability to pass a signal with specific resistance values from a driver. I know that’s nitpicking but just something I got a laugh from, but I digress. 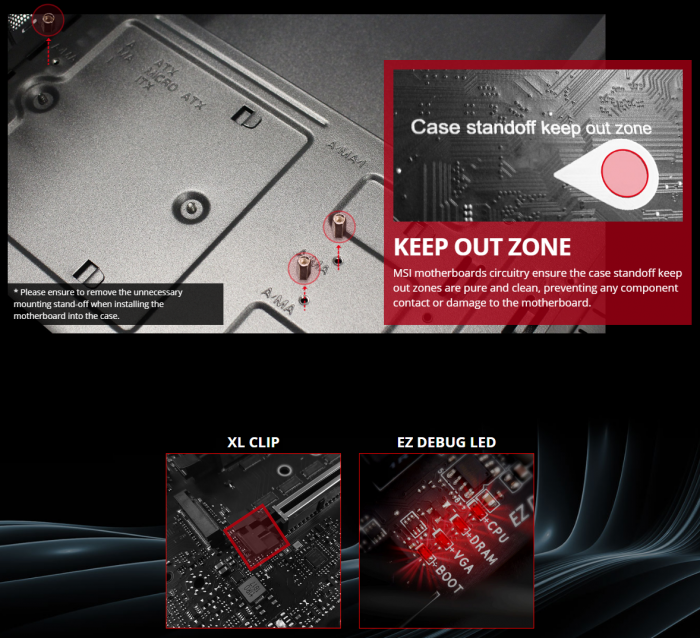 Here we see similar messaging to what we saw on the Z390. The only difference this time is that the X299 based platform has enough PCIe lanes to support a larger NVMe array. CPU attached lanes with VROC means you can get full performance from each drive and with the overhead of RAID you can combine them to get some really crazy performance levels. 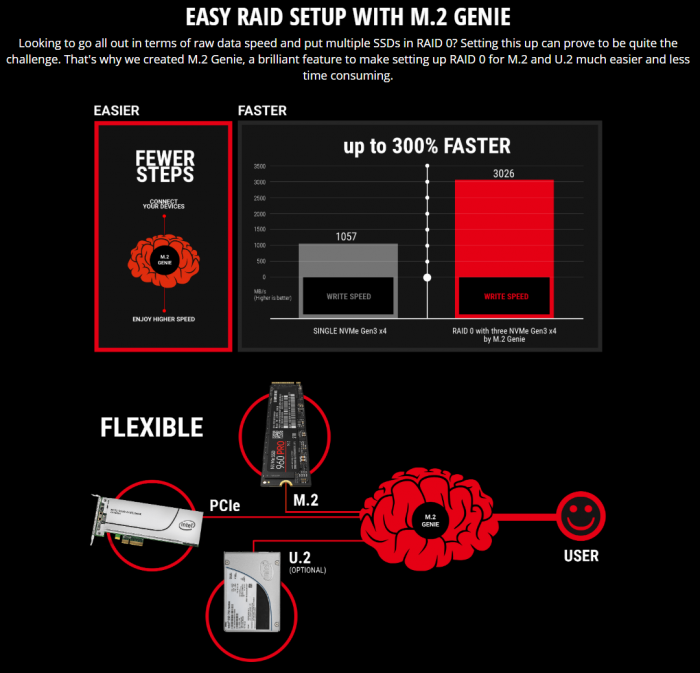 MSI has opted for M.2 Frozr which is heatsinks for your M.2’s this is not at all a detriment or bad thing as some SSD’s can run quite hot. However this will work as a heat spreader so you will likely want some case airflow to ensure it gets cooled properly. The chart shown with the throttling drive really is a “worst case scenario” but it can happen. when I unboxed the MSI X299 Creation board, this card looked like a midrange GPU had been included. This is a 4 way M.2 to PCIe x16 expansion card or HBA. 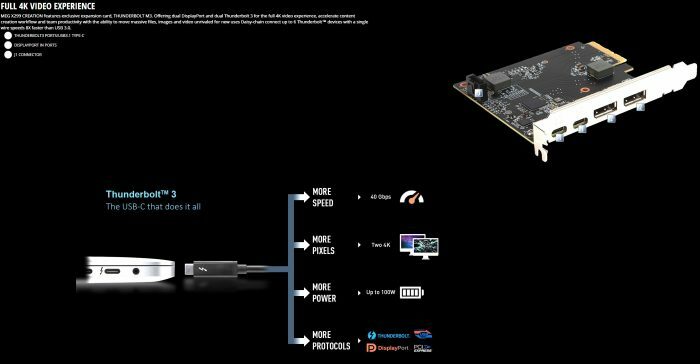 This allows 4 M.2’s to be connected to the CPU PCIe lanes and via a BIOS selection can enable bifurcation which effectively takes an existing PCIe x16 slot and can split it into separate links for up to four PCIe x4 links for M.2 or similar PCIe based drives. 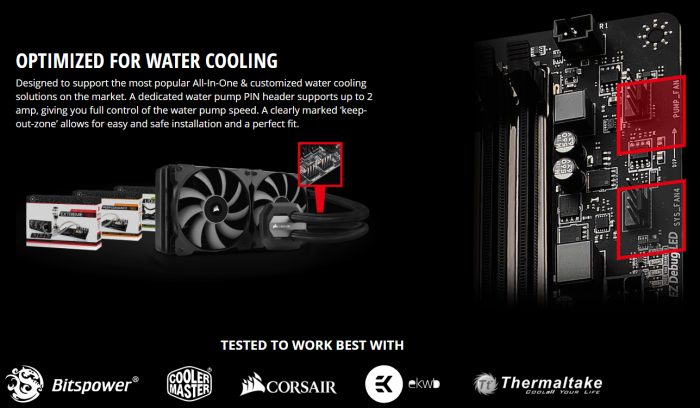 I have to give MSI credit as they worked with some solid names to set up compatibility for their liquid cooling prowess. I also like that they have pump headers dedicated for liquid cooling although to be fair many others also have pump headers as well or even complete water cooling zones such as we saw on the Maximus Extreme, that is if you don’t mind spending 600 bucks. Here the Dragon Center software works as a digital hub for your MSI supporting software. Now let’s unbox the MSI MEG X299 Creation and see what exactly she looks like and what she’s hiding under the hood.